As we reflect back on the first few months of school, there is much to celebrate at Woodhaven Middle School. This post will focus on the extraordinary efforts of Ms. Young and our students involved in the Fine Arts at Woodhaven. 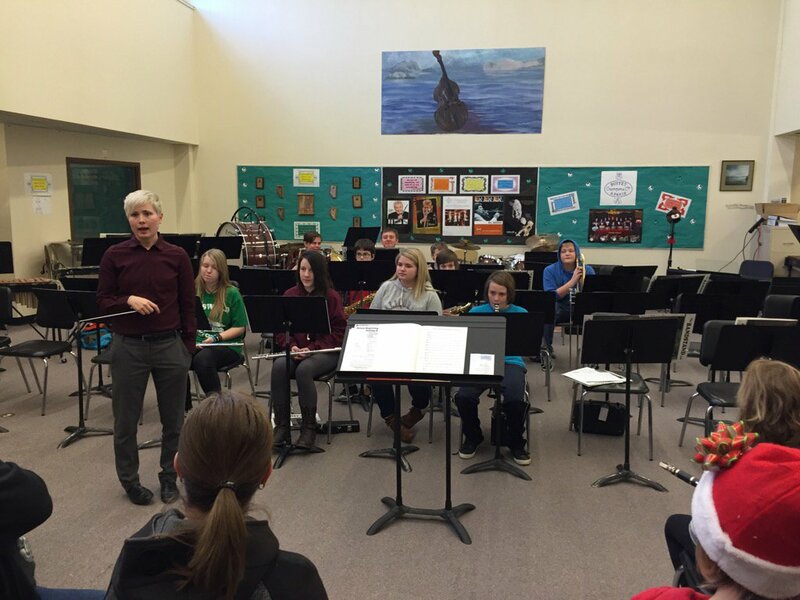 The continued growth of Fine Arts in our school is an area of pride for staff and students. 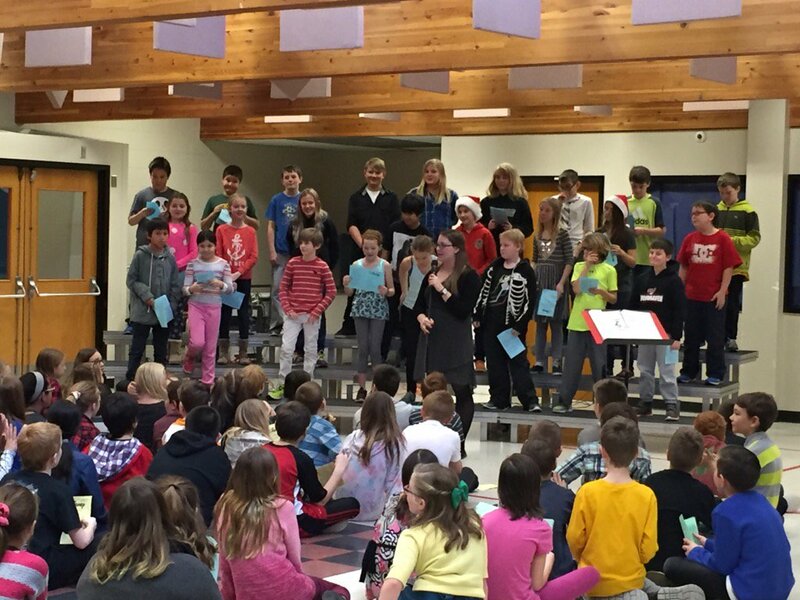 Just recently, our grade 5&6 students delivered great Celebration of Music where they entertained a full house of parents and peers! In the picture above, our Grade 6 students performed “Twist and Shout” as one piece of their Tribute to the Beatles. We were so thankful to have such an amazing turn out from our parents and community for this celebration. We can’t thank you enough for joining us to celebrate our kids’ musical talents! We certainly can’t forget the Woodhaven Band students in grades 6-9, who had a short, but entertaining performance at Spruce Grove Comp0site High School. These students have been working for months under the leadership of Mr. Laslop and Ms. Anderson to continue to build their musical skills. We are fortunate to have a partnership between Spruce Grove Composite High School, Woodhaven Middle School and Greystone Centennial Middle School which provides this opportunity to our kids. This band continues to be an example of what is possible when students and schools work together to provide learning opportunities to our kids. We are proud of their efforts. I can’t wait to see their next performance ! As many of our parents know, we have a few more really exciting Fine Arts opportunities currently under way for our kids that I will share in future posts… stay tuned for pictures and stories about Triple Threat Theatre and their upcoming performance at Horizon Stage. We are also eagerly anticipating our Show Choir performing on the Main Stage in Disneyland during the Anaheim Music Festival! 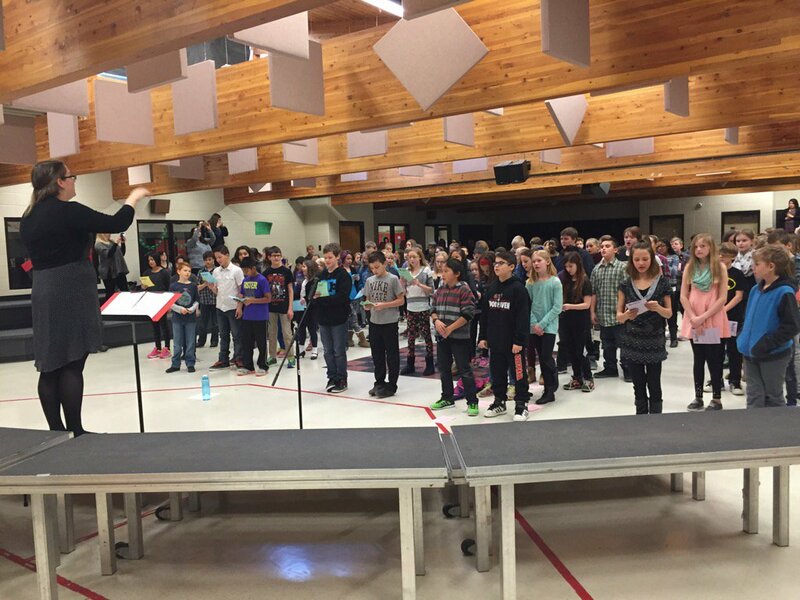 This entry was posted in Engage our Community, Engage Our Students, Fostering Effective Relationships, Leading a Learning Community and tagged school music program, wolfpack, Woodhaven Middle School. Bookmark the permalink.